1.1 There has been much discussion, debate and commentary over the past couple of months on the motion adopted by the South African Parliament on 27 February 2018, in relation to the expropriation of land without the payment of compensation. More recently, the Joint Constitutional Review Committee (“CRC”) has called for public comments on the review of section 25 of the Constitution “to make it possible to expropriate land in the public interest without compensation”. 1.2 While there has been much commentary on the motion, there is still much which is unclear to the public about its meaning and ambit. In order to aid in bringing some clarity, we have prepared this brief which seeks to clarify a number of issues which have been at the centre of the public debate on the motion. This brief forms part of a series of briefs we are circulating over the next few weeks to assist would-be responders to the invitation from the CRC. 2.1 As a starting point, it is worth briefly highlighting some aspects of the initial draft motion proposed by the Economic Freedom Fighters (“EFF”) for adoption by Parliament. The draft prepared by the EFF contained several emphatic statements which were ultimately amended by the African National Congress (“ANC”) and did not make it into the final motion actually adopted by Parliament. Nonetheless, it is worth briefly addressing some aspects of the original EFF draft motion which have continued to be part of the public debate and will inevitably be at the centre of the comments submitted to the CRC. 2.2.1 Is there a crisis regarding “the land question”? 2.2.2 Is section 25 of the Constitution at the centre of such crisis? 2.2.3 Does section 25 require the state to pay compensation when expropriating land? 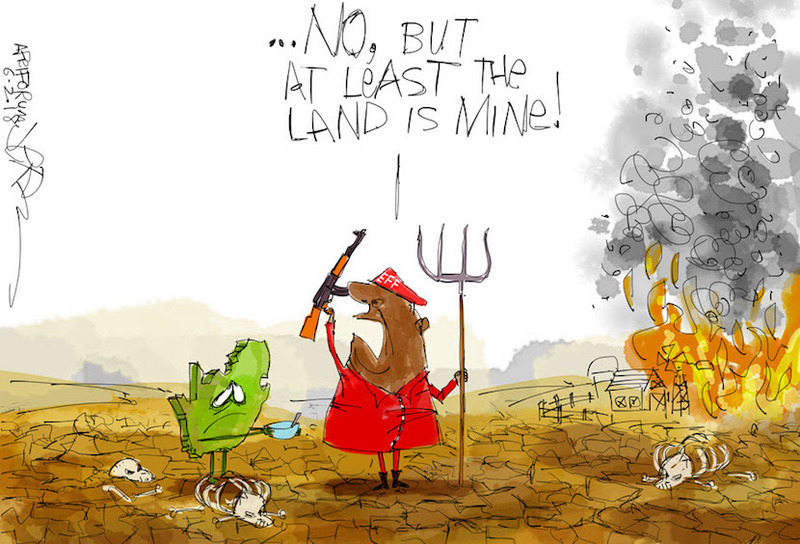 Land Grab. 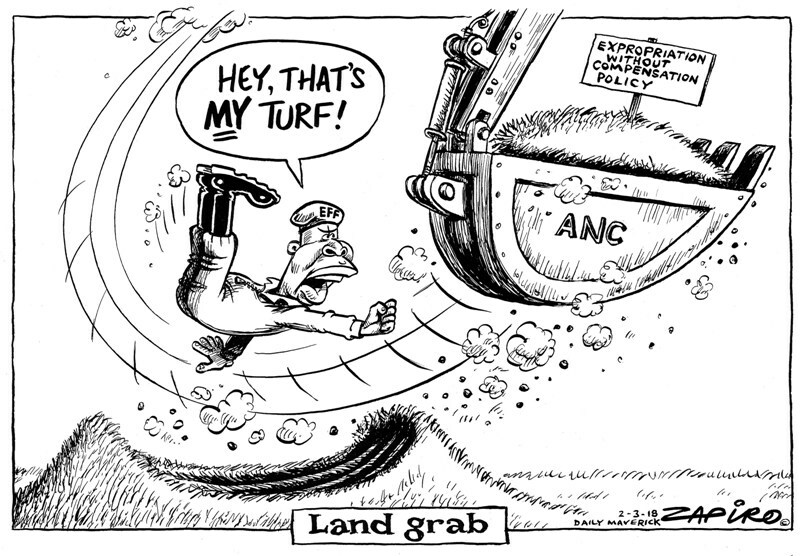 More brilliant cartoon work available at www.zapiro.com. 2.3 Is there a crisis regarding “the land question”? 2.3.1 The assertion that there is a crisis in relation to access to, and the ownership of, agricultural land and the need for urgent redress and transformation in this sector is not a particularly controversial one. The Department of Rural Development and Land Reform published the “Land Audit Report Phase II: Private Land Ownership by Race, Gender and Nationality” in November 2017. The report records that 72% of farms and agricultural land which is owned by individuals is owned by white people, with 15% owned by coloured people, 5% by Indian people and 4% by African people. 2.3.2 AgriSA published a report titled “The Land Audit: A Transactions Approach” in November 2017, which also focuses on agricultural land. This report states that the national level of ownership of agricultural land by Previously Disadvantaged Individuals and government has increased from 14.9% in 1994 to 26.7% in 2016. It is worth noting that the report has been widely criticized for a number of reasons, including that it does not differentiate between land owned by government and land owned by black people, and that there is no basis for this collapse which effectively argues that governmental land is black-owned land. Nonetheless, even in its own terms, the report shows that at least two thirds of agricultural land in the country continues to be owned by a demographic which represents less than 10% of the population. 2.3.4 The High Level Panel records, amongst other things, that its work “reveals that the record on the progressive realisation of [the rights to equitable access to land, to tenure security and to restitution] is concerning”. It goes on to list the various shortcomings in the pace and implementation of land reform, including the failures experienced in the development and application of the relevant laws and policies. Importantly, the High Level Panel also reports that “the ills of the past are being reproduced in post-apartheid society despite extensive legislative reform” and that “the observed changes have not dented the deep inequities in the quality of services received in many instances nor have they made fundamental shifts in outcomes”. 2.3.5 In view of the above, and if, as the High Level Panel reports, the deep inequities that existed under apartheid continue to exist in relation to land ownership, it seems difficulty to argue that there does not currently, or soon will, exist some degree of crisis in relation to such land ownership. 2.4 Is section 25 of the Constitution at the centre of the land crisis? 2.4.1 Perhaps the most important aspect of the original EFF draft motion which must be addressed in the public comment process is the suggestion that section 25 of the Constitution is at the centre of the land crisis. It is apparent from the High Level Panel’s report (and other sources) that the greatest factors which have undermined land redistribution efforts to date are the failure of government policies, ineffective administration and increasing corruption, amongst others. 2.4.2 The High Level Panel’s report records how official process applied to date have been “cumbersome and slow, characterised by poor coordination between different departments and spheres of government”. It also records how people at the public hearings held by the Panel spoke scathingly about the role of state officials and politicians in land reform and how they were seen as stealing from the people what little they have. 2.4.3 The current land redistribution programme is generally focussed on the state buying then leasing out whole commercial farms at discounted rates. Importantly, as discussed below, this is not something which is required by section 25 of the Constitution. It is a policy choice made by the South African government over the past twenty-odd years. 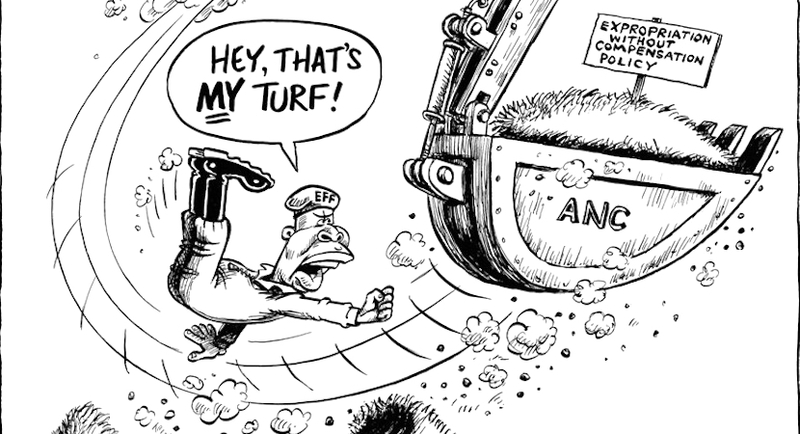 2.4.4 While section 25 does require the payment of compensation for an expropriation, the simple fact is that the South African government has to date not followed any intensive expropriation programme for the purpose of land redistribution. There is nothing in the Constitution which dictates that there has to be a “willing buyer and willing seller” approach to land reform. It is accordingly a fallacy that it is the requirement to pay compensation or the protection of property rights in section 25 of the Constitution which has been the central hurdle to land restitution. 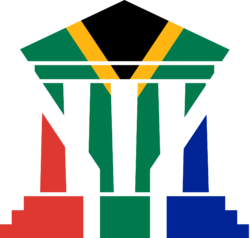 The mechanism of expropriation provided for in section 25 of the Constitution has simply not been tested by any systemic expropriation programme of the South African government since the advent of democracy. 2.5 Does section 25 require the state to pay compensation when expropriating land? 2.5.2 The permissibility of expropriations of property, which is a particular category of deprivation, is specifically dealt with in section 25(2) of the Constitution. This subsection permits the expropriation of property in terms of a law of general application, on two conditions: (A)for a public purpose or in the public interest; and (B)subject to compensation, the amount, time and manner of payment of which have either been agreed to by those affected or decided by a court. 2.5.3 Section 25(3) deals in some detail with the compensation payable for an expropriation, requiring that the amount of the compensation and the time and manner of payment must be “just and equitable, reflecting an equitable balance between the public interest and the interests of those affected” and having regard to all relevant circumstances. What the section requires is a nuanced balancing of potentially competing interests to try and ensure that needed reform is achieved while protecting the rights of existing property right holders. It also lists various factors which should be considered in determining the amount of compensation payable. 2.5.4 There has been much debate about whether the proper outworking of the balancing exercise required by section 25(3), to quantify the amount of compensation payable for an expropriation, could result in zero compensation being payable in particular instances. While there might be some circumstances where this could be the outcome of the balancing exercise, this would likely be rare and only occur in the most exceptional circumstances. In addition, the balancing exercise required by section 25(3) necessarily means that the payment of zero compensation could only be on an ad hoc, individual property basis. The payment of zero compensation would also have to be the outcome of the balancing exercise (particularly as the list of factors to be considered is non-exhaustive) rather than an option which generally exists at the discretion of government. Accordingly, it seems correct, in our view, that a law or policy which seeks to generally allow expropriation of property without the payment of compensation would probably be contrary to section 25(3) of the Constitution as it currently stands. 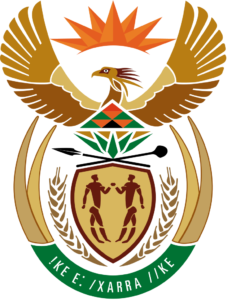 3.1.2 is implemented in a manner which: (A)increases agricultural production; (B)improves food security; (C)ensures that the land is returned to those from whom it was taken under colonialism and apartheid; and (D)undertakes a process of consultation to determine the modalities of the resolution. 3.2.3 report to the National Assembly by 30 August 2018. 3.3 We note that the motion adopted is, at least on the face of it, specifically about land. Neither the draft motion prepared by the EFF, nor the final motion adopted by Parliament seems to be concerned with “property” in general. Rather, the motion is quite clearly concerned with “land”, and as section 25(4)(b) of the Constitution notes, “property is not limited to land”. Accordingly, while section 25 of the Constitution deals with “property” rights more broadly, and section 25(3) speaks about the expropriation of property, the motion adopted by Parliament, and the mandate given to the CRC therein, specifically relates to land and not to all property. 3.4.3 ensuring that the land is returned to those from whom it was taken under colonialism and apartheid. The EFF are still threatening to colonise farms. More brilliant cartoon work available at jerm.co.za. 3.5 This means that there is an opportunity for interested parties to apply their minds not only to how the mechanism of expropriation of land without compensation might work, but also to how it might be structured so as to achieve the objectives set out by the President in the SONA. Further, it seems to us that commenting parties should also consider whether there are any additional objectives that should be at the heart of any future land tenure regime. 3.6 Finally, it is important to bear in mind in making submissions to the CRC that the Constitution should generally be the ground law upon which more specific statutes should be founded and to which such statutes should seek to give effect. Accordingly, any submissions made to the CRC should try and distinguish between what should be addressed in the Constitution itself versus what the Constitution should empower in order for Parliament to address through appropriate statutes. 1 The High Level Panel was commissioned by the Speakers’ Forum and chaired by Former President Kgalema Motlanthe. 2 I think the word “entails” is intended to mean “includes” in this context. Mzukisi Kota is a director at Herbert Smith Freehills.